I managed to read 72 books in 2011 which is a big improvement from the 45 I had last year, so yeah! <br/>Share <a href="http://www.goodreads.com">book reviews</a> and ratings with Susanne, and even join a <a href="http://www.goodreads.com/group/">book club</a> on Goodreads. Have you read any of the books above? Or do you really want to read one those books? 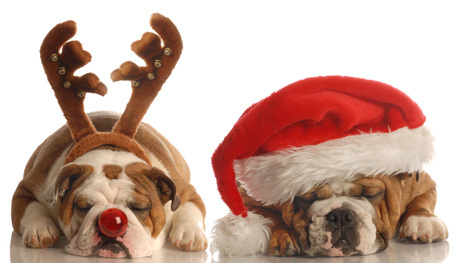 Next up: wrapping presents (hate that) and a few other things from my to-do list. Eeek. But first I want to wish you all a MERRY CHRISTMAS! 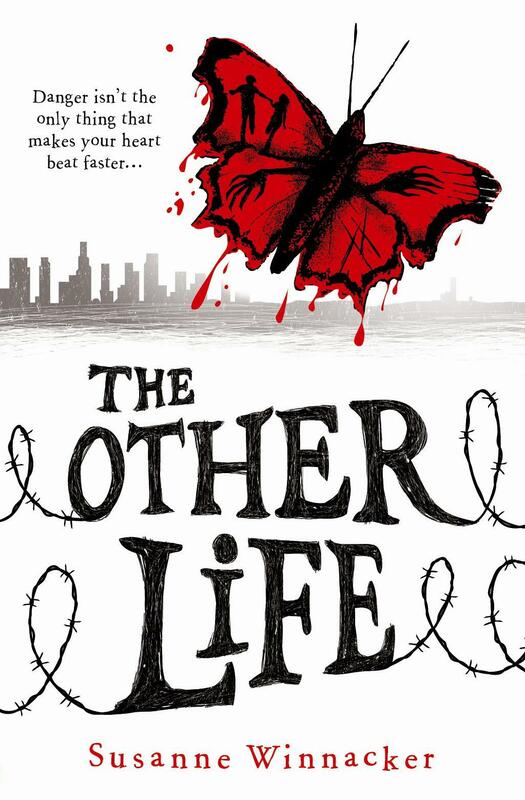 BUT because I'm supposed to feel all christmas-y, I'm giving away a signed ARC of THE OTHER LIFE on goodreads! Giveaway ends January 05, 2012. Video Trailer of THE OTHER LIFE! I'm so so excited to share with you the video trailer my UK pub Usborne did for THE OTHER LIFE! I love it so much! It's so creepy! YAY! Look what Usborne sent me! The final copies of the UK edition of THE OTHER LIFE! And maybe you noticed that my hair is now purple, though the pic doesn't show it very well! Maybe you noticed it already but my US cover is up on amazon! It's totally different from my UK cover, isn't it? But I love them both. Isn't the red font amazingly creepy? Don't forget: Pub date in the US is May 1st, 2012! If you don't want to wait that long, you have the chance to win a UK ARC on Samantha's blog! The giveaway is open for US/Canada and Europe/UK! 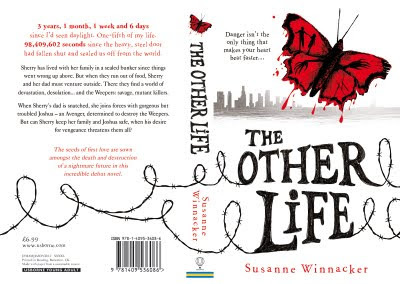 My awesome UK publisher Usborne is giving away 3 proof copies of THE OTHER LIFE on goodreads! The giveaway is open until November 30th. You have to live in Great Britain to enter. NaNo started yesterday and I'm participating this year. The book I'm working on was inspired by a few places I visited with my husband in the last few weeks. Watercastle Anholt. It's only about an hour from where we live. The back of the watercastle. The following photos show Castle Rheinfels. It towers over the rhine across from the famous Loreley. The autumn weather has been fabulous in Germany so far. That isn't something that happens very often around here! Winner + Blue Hair + Another giveaway! You have the chance to win an ARC of The Other Life on the Dark Readers blog where I posted a scary childhood memory for their Halloween Booktacular. First chapter of The Other Life! You can read the first chapter of The Other Life on the website of my UK publisher, Usborne. I'm giving away one UK ARC of THE OTHER LIFE! 1568 people have already added it on goodreads! YAY! Leave a comment (that counts as 1 entry) with your email address. Please add links if you've blogged or tweeted. The contest ends next Monday, October 24th. It's international. I'll announce the winner on Tuesday. My book is now available for pre-order on Amazon! It's the US version and the title is slightly different from the UK version. As you can see on Amazon, there isn't a cover up yet. That's because the US cover isn't the same as the UK cover that I revealed a few weeks ago. For all the others who didn't win: don't worry, I'll have another ARC contest soon! I'm giving away one ARC of THE OTHER LIFE! That's how the final book will look (UK version)! The giveaway is international and ends August 31st. I'll announce the winner on September 1st! I've never been so happy to see the mailman! It took me at least a minute to tear apart the packaging! I want to cuddle them all day! And look at the chapter headings! Barbwire! Soon I'll have a giveaway on this blog! So stay tuned! Until then you can still win an ARC of THE OTHER LIFE on Lenore's blog! Want to win an ARC of THE OTHER LIFE? I'm giving away my first ARC of THE OTHER LIFE. But not on my blog. Lenore Appelhans (author of upcoming LEVEL TWO) interviewed me on her awesome blog for Dystopian August and I'm giving away one ARC of THE OTHER LIFE there. And the giveaway is international! So read my interview and enter! Cover reveal The Other Life! The moment I’ve been anticipating for months has finally come!! I couldn’t be happier. Usborne did a fabulous job. Isn’t the bleeding butterfly deliciously creepy??? 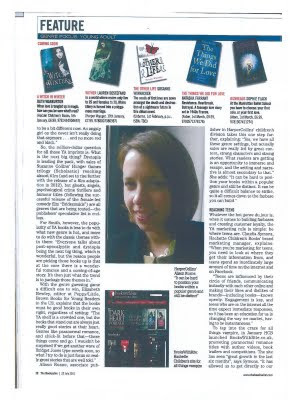 The Other Life in The Bookseller! The Bookseller selected The Other Life as books to watch in 2012! Isn't that exciting?? I grinned like a maniac when I saw it! Here's the scan of the Bookseller page! The big reveal of the final cover will be soon! So stay tuned. I can't wait to show it to you! And that red butterfly? Isn't it perfect for business cards and other things...like earrings or, you know, a necklace? Hehe. So you see. I simply had to browse the internet for jewelry with butterflies after I saw the first draft of the cover. I might even have bought blood-red nailpolish. You know what all this means? We're getting closer to The Other Life's release and soon there'll be ARCs and that means contests in the near future! 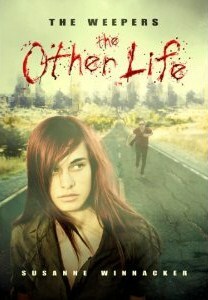 So watch this blog if you want to win ARCs of The Other Life! Sunday my husband and I returned to Germany from our east coast trip. It was amazing! And I met my lovely crit partners! My crit partner Tracy and I! We met at a baseball game. Tracy invited me! She's lovely like that! From right to left: Shari ( my crit partner and fellow Apocalypsies member, her book Mystique hits the shelves next year ), Leanna Renee Hieber ( also an Apocalypsies member, her book Darker Still hits the shelves this November) and I. We met in New York during a Teen Author Reading. I - looking at the breakfast menu of our hotel in Newport. The beach in front of our hotel. The bed in our hotel room. My husband (he's sitting in that pic. He's usually more than a head taller than me...lol) and I at the end of the baseball game. Orioles vs. Cardinals. That's Camden Yards in the background. The game was fun, though my husband and I don't know anything about baseball. I'm not even sure if it's being played in Germany. On top of the Empire State building! I think you all know what that is behind me!